By the South Hebron Hills team. Before us about 20 tents mostly made out of black or white tarpaulin sheets are nestled into the rugged landscape. The only sounds that can be heard are the faint sound of a television in one of the furthest tents, sometimes the bleat of a sheep, our footsteps, and the wind lifting up the dust earth beneath us; it barely alleviates the stifling summer heat. A number of small water cisterns are scattered amongst the tents. It looks like a makeshift camp even though it has been here for decades. We are in the Palestinian village of Susiya, in the south of the West Bank. Here there is no proper infrastructure, no running water or electricity supply. It stands in stark contrast to the Israeli settlement nearby, which looks like your average 21st century housing estate (settlements are fully integrated into Israel’s national power grid, water and telecommunication systems). by EA Siphiwe, South Hebron Hills team. On the 10th of May 2016, the Israeli army’s Civil Administration District Coordination Office, accompanied by Israeli soldiers, issued four stop work orders on tents in Susiya in the Massafer Yatta area of Hebron. This video shows the DCO official, accompanied by two soldiers, issuing a stop work order on a residential tent belonged to the Nawaja family. The family was not home at the time so the inspector leaves the stop work order under a rock next to the entrance of the tent. He then takes a photo of the order pinned under the rock as evidence that the notice of the order was executed lawfully. This tent is home to a family of seven, including five children. Jihad Nawaja, the head Susiya Village Council, talks with the inspector. by South Hebron Hills Team. Area C, the part of the West Bank under full Israeli military and civilian control since the Oslo Accords of 1993, is dotted with Bedouin villages. 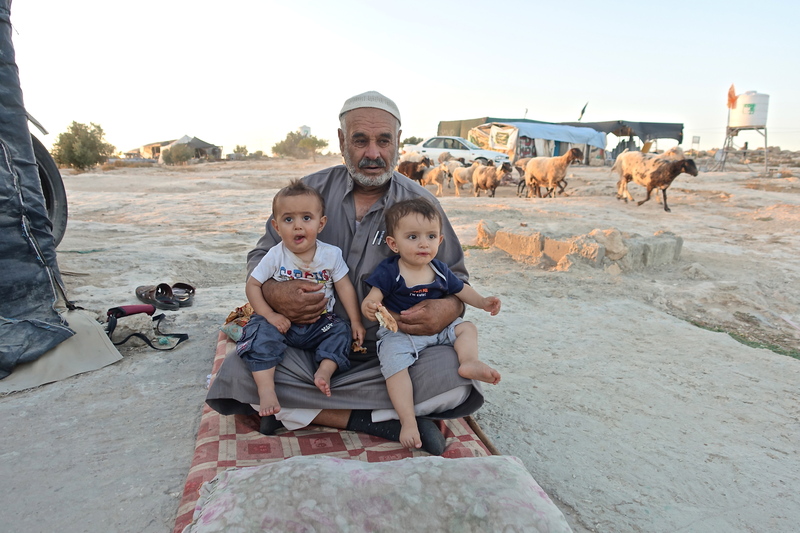 Many of the Bedouin currently living in Palestine fled there in 1948 from their ancestral lands in the Negev Desert as the newly-founded State of Israel pushed its way into the Negev. The Bedouin purchased land from the local people and initially were able to continue their simple farming – growing crops and shepherding. Since 1967 when Israel began to occupy the West Bank, Area C has also become dotted with Israeli settlements, the building of which is illegal under Article 49 (6) of the Fourth Geneva Convention, a convention ratified by the State of Israel. Just 14 months ago, I said my goodbyes to the residents of Susiya. And now I have returned to this village in the South Hebron Hills as it faces threats of imminent demolition and a forced removal of all those living here. 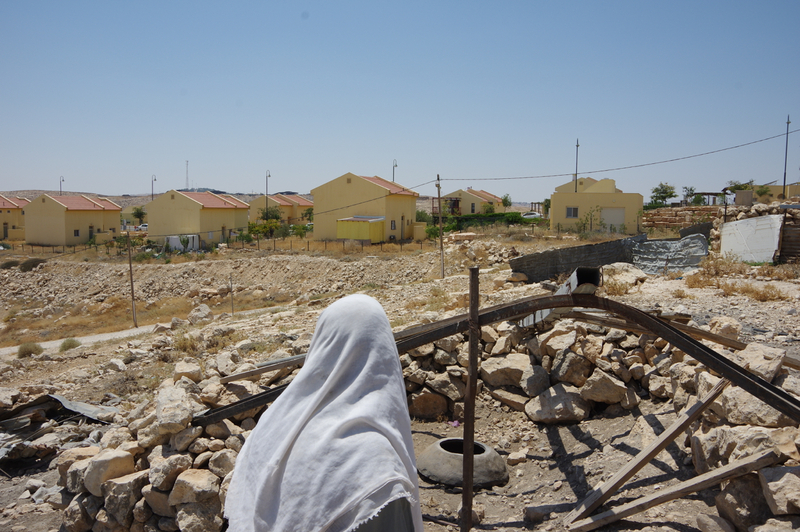 I have returned to Susiya at the invitation of the World Council of Churches to be part of a team of internationals providing ecumenical accompaniment and protective presence to the village in hopes that a demolition and removal may be put off. My arrival in Susiya coincided with the first day of Ramadan, the most holy time in the Muslim year, a time of fasting for the month. This month of fasting begins with the daily call to prayer in the pre-dawn hours and ends at the sunset call to prayer. This period of Ramadan will end July 18 and is a time of reflection and reformation of the soul.